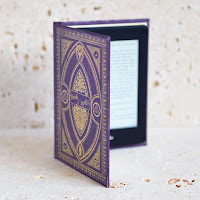 The mysteriously mystical cover of Barnabas Tew and the Case of the Missing Scarab, along with its Egyptian setting, made this a must read book for me. I didn't fully appreciate what I was letting myself in for but I was most definitely not disappointed. I am delighted to release my review as part of the Rachel's Random Resources Book Birthday Blitz. Barnabas Tew, a detective in Victorian London, is having a hard time making a name for himself, probably because most of his clients end up dead before he can solve their cases. His luck is about to change, though, for better or worse: Anubis, the Egyptian god of the dead, notices him and calls him to the Egyptian underworld. 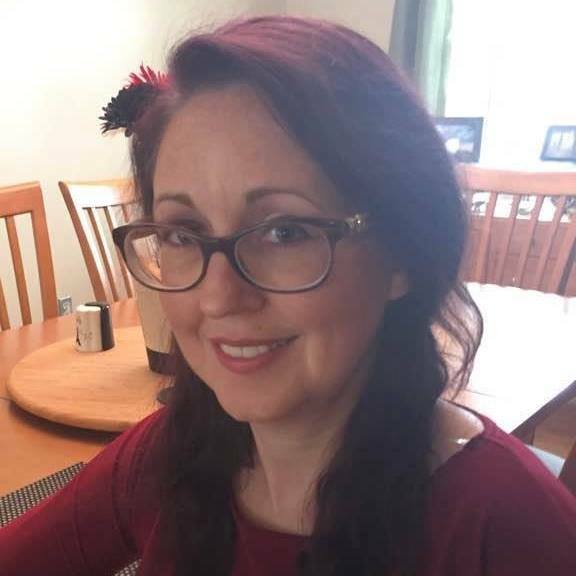 A terrible kidnapping has occurred; one that promises to put an end to the status quo and could perhaps even put an end to the entire world. It is up to Barnabas (along with his trusty assistant, Wilfred) to discover the culprit and set things to right. Can he turn his luck around and solve the most important case of his life? 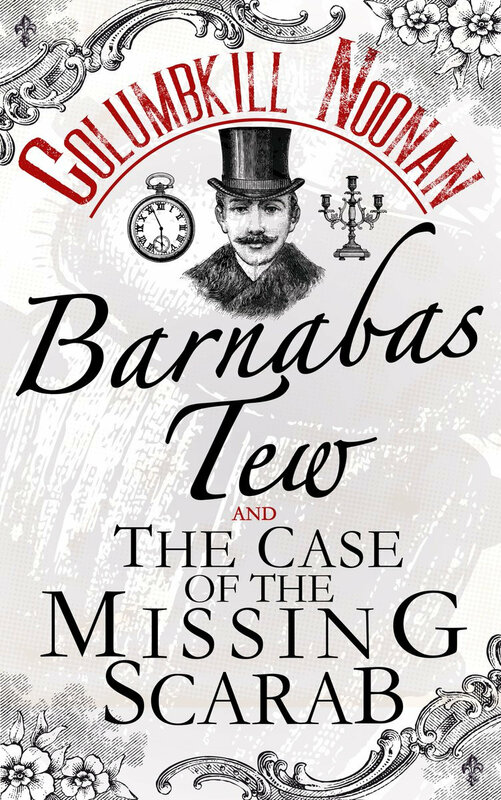 I love Egyptian history so I was really excited to read Barnabas Tew and the Case of the Missing Scarab. This unique and unusual book completely exceeded my expectations and, although it won’t be to everyone’s taste, I have already recommended it to one of my colleagues who enjoys reading about mythology. I found Barnabas both exasperating and hilarious; I certainly wouldn’t have had the patience that his sidekick Wilfred has. I couldn't help but imagine Vic Reeves and Bob Mortimer playing Barnabas and Wilfred; if Reeves & Mortimer did Sherlock Holmes it would probably look something like this. Barnabas is a completely incompetent private detective and it is just his luck that the one case he did solve gets him recommended to Anubis, the jackal headed Egyptian God of the Dead. Anubis wants Barnabas and Wilfred to solve the mystery of the missing scarab beetle, Khepre, who is responsible for rolling the sun across the sky each day. With Khepre missing, the sun is stuck in the sky and the unbearable heat threatens to bring drought and starvation to the people of the underworld. What follows is a veritable who’s who of the Egyptian underworld as we meet several gods and goddesses, some I had heard of and some I hadn’t. I don’t know a great deal about Egyptian mythology, but I certainly know a little more now. I loved how the characteristics of each deity were described; it brought the whole book to life as I visualised the snapping snout of crocodile headed Sobek and the cow headed goddess Hathor, who reminded me of Lewis Carroll’s Queen of Hearts, with Barnabas trying to be careful not to ignite her wrath. The whole book actually does have a feel of Alice in Wonderland about it; rather than Alice falling down the rabbit hole, Barnabas and Wilfred fall into the underworld. Although the Egyptian gods are based on real myth, Columbkill Noonan has given them a cartoon like quirkiness that had me half expecting the Mad Hatter to appear and announce that it was time for tea. I think this book will definitely appeal to fans of Alice in Wonderland because of the almost dreamlike quality of the writing; like Alice did, I expected Barnabas to wake up at any moment and realise it was all a dream...or was it? It’s certainly a book that readers off all ages will enjoy as I didn’t spot any naughty bits or swearing. Quirky, original and completely enthralling; my only disappointment was that I reached the end too quickly. 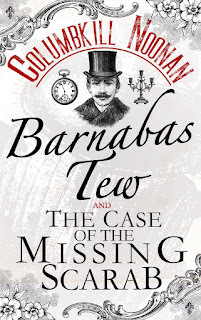 I enjoyed Barnabas Tew and the Case of the Missing Scarab so much that I am already looking forward to the next book.